Every year I wish that St. Patrick’s Day came in June, when our enormous whiskey barrel planter of mint is in full swing. Mint is more than a way of life here, it’s job security. My wife *loves* anything mint, with bonus points given to dishes made with our real mint. Since I always strive to feature things here that my family and I actually would want to eat, the idea for my Keto Shamrock Smoothie was born, despite the obvious problem of mint sourcing in the middle of March. I generally find that supermarket mint leaves something to be desired. Really good mint should smell sweet and not bitter. Supermarket mint from the supply chain tends to be so old that it has started to oxidize on the edges of the leaves and beyond. I don’t like my mint desserts to be brown and taste like dead leaves, do you? So, I usually keep moving and wait for June when I can have home grown. That brings me to a subject that might seem out of place for a St. Patrick’s Day mint post — Asian markets. My local one is my secret weapon. Exotic seasonings, inexpensive meat, and equally inexpensive (and rare varieties of) produce. You may remember it is where I typically get the curry paste I use when making my Thai Coconut Curry Cauliflower Rice. They’re also an unexpected but prolific source for herbs and specifically mint, which is featured frequently in Vietnamese cuisine. It was hard to beat at .89c a bunch a week ago. I guess that makes my Keto Shamrock Smoothie Irish-Vietnamese fusion cuisine? While I really enjoy eating real mint desserts and sweets of all kinds, I don’t enjoy the tedium associated with extended steeping of the greens that still “leaves” you with only a pale green color that doesn’t say a lot about the intense mint flavor contained within. I love my Keto Mint Chocolate Chip Ice Cream, but I’ve never felt it was quite as green in color as I would like. After all, you do eat with your eyes first. I encountered a solution for this problem in this recipe for a paleo (but non-keto) Shamrock Shake on cookeatpaleo.com that I liked a lot for two reasons: the utilization of avocado and the fact that the leaves were blended directly into the shake and not strained. I was initially a little skeptical of the approach that did not strain the leaves. I feared they might not totally break down and produce a final flavor that was a little too green and grassy. Nevertheless, I bookmarked the recipe and earmarked the technique to try. In the end, it was actually perfect. The acidity of the homemade yogurt I used along with the stronger mint flavor pushed the grassiness far into the background. Finally, we can’t have mint without dark chocolate, can we? 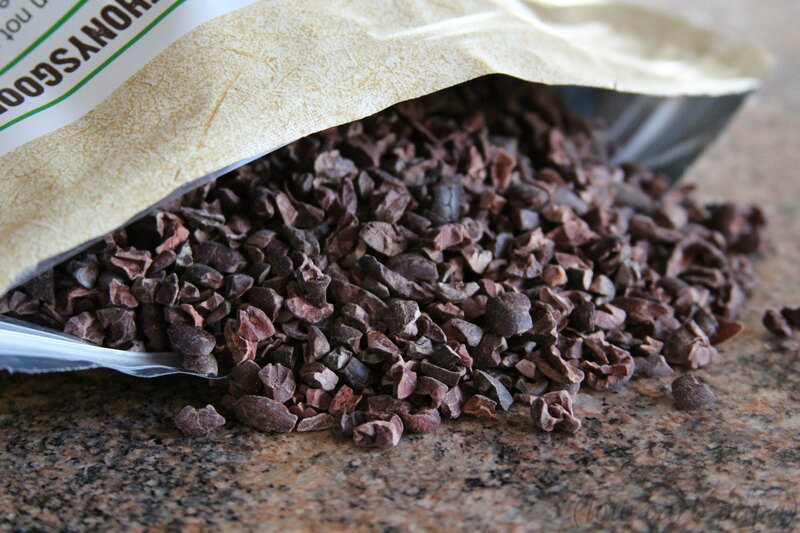 I used cocoa nibs again just like I did in my Raspberry Cocoa Nibs Parfait because of their superfood status and pleasing crunch. On their own, they’re obviously quite bitter as they are 100% cocoa, but they are perfect against the smooth texture and sweet flavor of the Keto Shamrock Smoothie. Did you like this recipe? Please share with your friends! Also follow me on Facebook, Pinterest, Instagram, and Twitter. This Keto Shamrock Smoothie post contains affiliate links, paying me a commission from purchases made through them, at no additional cost to you. If you want a less sinful rendition of the "Shamrock Shakes" that are so ubiquitous during the St. Patrick's Day Holiday, you are in luck. 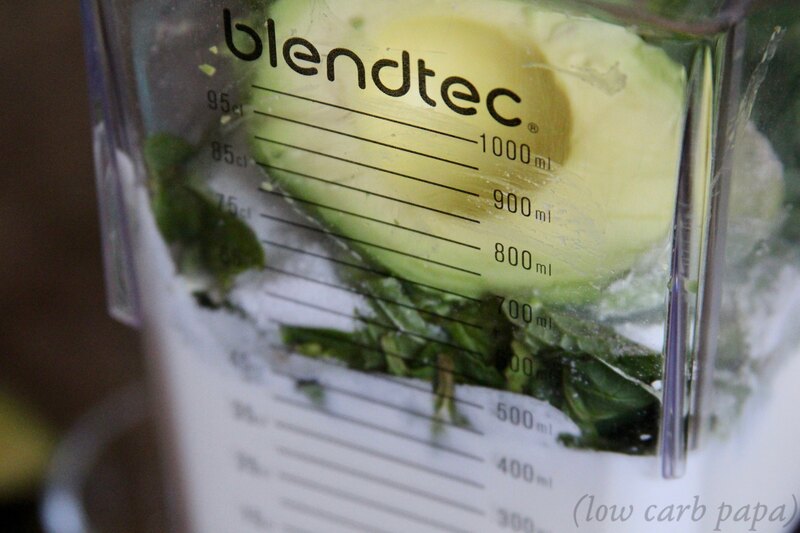 Real mint and avocado are blended right in! Add everything except the stevia glycerite to a blender (more powerful is better in this case) and blend on high until you can't see little leafy bits from the mint. Taste for sweetness. Add stevia to taste and re-blend. Serve. 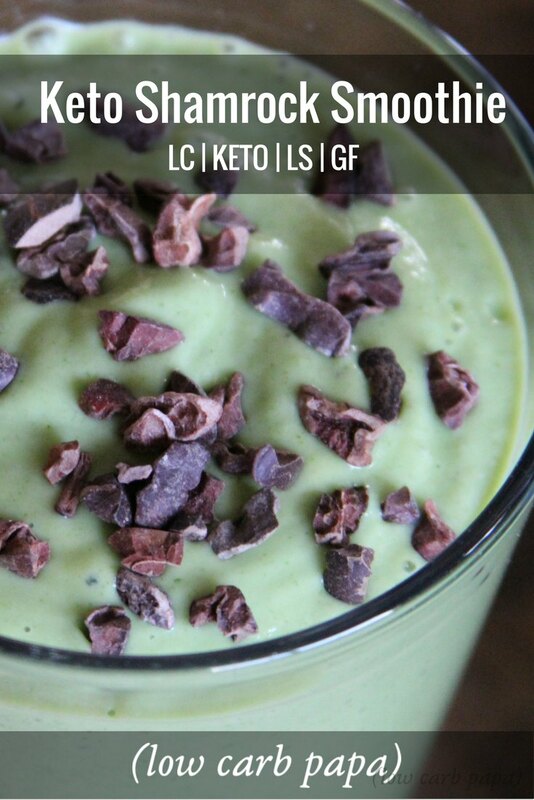 1 Reply to "Keto Shamrock Smoothie"